Good news for budget travelers, the National Park Service announced today that it will waive admission fees on 17 selected dates throughout 2011, encouraging all Americans to make a New Year’s resolution to visit a national park this year. Salazar noted that with 394 national parks throughout the country, most Americans live within a few hours of a park, making them places for easy and affordable vacations any time of the year. “In these tough economic times, our fee-free days will give families many opportunities to enjoy our nation’s heritage and natural beauty in meaningful and affordable ways,” he said. The first fee free days are centered on the Martin Luther King, Jr. holiday (January 15 - 17, 2011). Many national park concessions will also offer discounts on fee free days, saving visitors money on food, lodging, tours, and souvenirs. 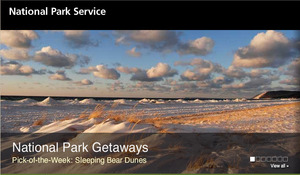 More information is available at http://www.nps.gov/findapark/feefreeparks.htm.